It is that time again to check in with P.E. even though you guys have already seen where she has come...I am trying to get you caught up so I can begin to show you pics of her now!!! These pics were from March..I know the last one said March because it was March 1...these are from the rest of March! You can slowly see the transformation in just 2 weeks...from the use of colors to her confidence behind the camera..and in case you forgot where she started there is a Before and After below! Be prepared for a whole lotta pictures...it's P.E. 's turn to be in the spotlight! I brought my lunch to work everyday and only ate what I brought to work- avoided the office goodies. SO hard when you see everyone else stuffing their faces and smiling! I kept healthy snacks everywhere- my desk, purse, car, and nightstand. SO helpful when detoxing and keeping energy up during the day! I worked out 5 days a week or more with no excuses unless I had an injury or a commitment I could not reschedule. This still my daily getaway- Stairmaster and free weights! I got 8 hours of sleep and drank only water, PowerAde zeros, and plain iced coffees from Starbucks. NOT as hard as it seems. I ate whatever I wanted on Saturday- funny thing was I didn't want to indulge as much as I thought I would since completing my food detox and seeing the results I wanted. I would eat before I went to functions and get togethers to avoid food temptation- that worked like a charm! NO more than 2 glasses a wine per week- hangovers= too many extra calories ingested and putting off the gym to recover. I thought of how I wanted to look before I put anything in my mouth- that will make you put more things down than you know. I did not eat past 8:30 pm!!!! It was hard to go to bed hungry sometimes- but it paid off. Don't get me wrong, there were days where I screwed up (I went and bought a large fry from Wendy's and proceeded stuff my face in the parking lot, threw in a piece of gum and met up with Shana like nothing ever happened) but as you go along, the less you will screw up- TRUST ME. Sooooooo, my boo was gone for 4 months- and boy did everything about me change. FIRST thing that changed was my confidence. Regardless if you are losing weight or not, there is a feeling you get by just going to the gym. I had more "skinny days" -days where I looked the same but just felt skinnier for some reason and had a mean strut to match. Anyway, with me losing weight I had to change my hair and makeup. I did simple changes that made a big difference such as adding highlights and using lighter makeup for a more natural look (although sometimes I did look a little Amy Whinehouse). These simple changes were needed to adapt to the complete 360 I made with my wardrobe. But the fashion thing all started with Shana's curiosity with Savers and a new job opportunity that came my way. Thanks' for listening.......with much love from P.E. P.E. you were beautiful before and after but you look tons more confident in the afters. I have been struggling to lose weight for a while and it is a tough road. I seem to have every excuse in the book as to why it is going so slowly. Great job!!!! Great job PE! 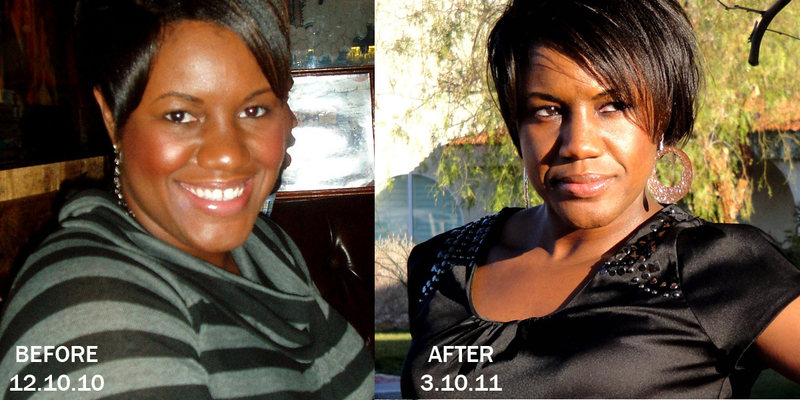 Thanks for great tips and congrats on all of the positive changes ..you look great! Great job and Cute pics!!! Wow! She really "shut it down" with her habits she wanted to improve on! Way to go. PE is stunning and clearly a role model for us all!! 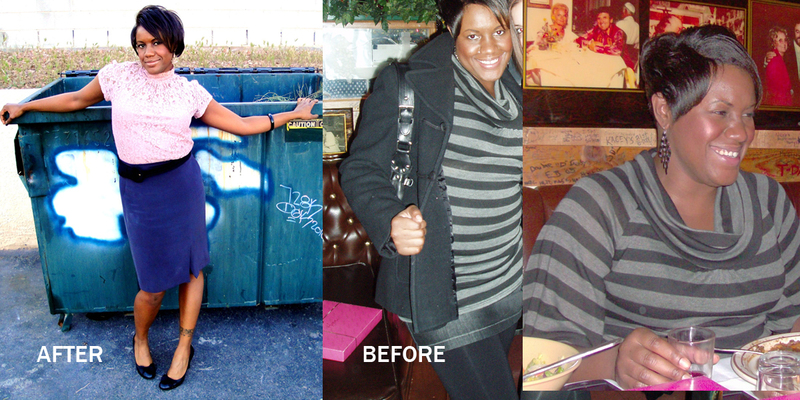 Absolutely fabulous transformation P.E., keep keeping on...so I can raid your closet, lol.